The Texas Fly Fishing Report is back from the winter break, rightfully so and ready to go! We have plenty of fishing, fly fishing action, to report today. The report’s home base is in North Texas, so in such a large state conditions will vary wildly. What we are experiencing in this part of Texas is a fantastic pattern for fly fishers that starts below a lot of the lake dams. Numerous lakes are beyond conservation pool as this report goes out, and authorities are releasing water to bring those lake levels down. I have documented those releases, and the fish caught during those releases, over several years (beginning in 2010). Right now, the fly fishing is absolutely fantastic on these releases – for the most part. All we have to do is find a releases, like the one at Ray Roberts Dam, and go throw a few good tight loops. Sure, these places (especially the Ray Roberts Dam) are overrun with conventional fishermen who finally found their pot of gold, and you will see them there day-after-day, in the same spot, slaughtering fish day-after-day. And they leave behind a mountain of trash and submerged lines in the water to tangle and lose flies on, but if you can handle the crowds and the carnage? Well, like you see in the video; these releases can be one big box of chocolates. The big bass are coming in, the sand bass are up and full-on running, and if you sprinkle in some hybrid action … what’s so hard about that? 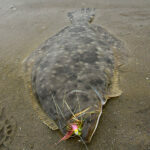 You will want a 7 or 8 weight rod to be able to fight these fish in huge current, and be able to turn them toward you. I like a reel I can count on – with good drag and a big enough spool to manage line to ALWAYS go to reel. 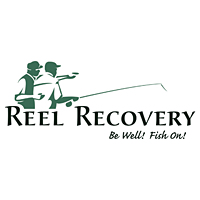 Going to the reel is very important in these situations, and that is because line gets caught on everything in riprap fly fishing – rocks, fences, bushes and everything else we find in these dirty situations. I am using a fluorocarbon leader with either an 8 or 10 pound tip – remember you can control depth by what your tip is – bigger is shallower. Year after year, the red over white Clouser catches these fish. But your hook needs to be something extreme, like a Tiemco 600SP, or a circle hook, which I have gone to to allow fish to hook themselves on a slack drift. 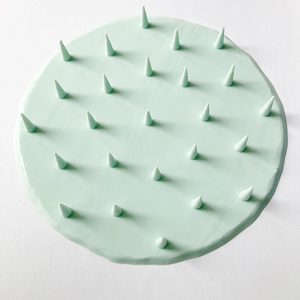 The circle hooks are great, and do exactly what they are designed to do – and cost a fraction of what super-sharp normal hooks cost. Where I am fishing, the fish are in very tight bunches, so you will have to search and fan cast until you find them. Once you find them, don’t go looking elsewhere – keep going back to the spot you found. The spot you see in the video, for example, was about 10 feet across!